Authors: Wilson, A. Dan; Lester, D.G. 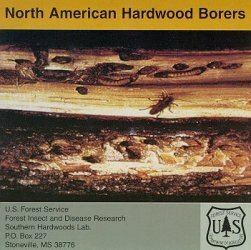 U.S. Forest Service scientists from the Center for Bottomlands Hardwood Research, Stoneville, MS, a unit of the Southern Research Station, have developed a series of Forest Insect and Disease Research (FIDR) pest recognition softwares on CD-ROMs. The new softwares, written in Visual Basic (for Windows), display images and information on insect and disease pests of selected southern hardwoods and other hosts. Please see the PDF file below for more information, system requirements and ordering instructions.